Sib did extremely well with my birthday present this year. He's got this Peruvian girlfriend now, who he met on his travels towards the end of last year. He went back over to visit her in August and, upon his return, said we needed to meet up so he could give me my birthday present. The Family Hand are not very good at presents (except Mother Hand who is too good) but it's something we all accept with grace, so I was surprised. We finally met up on Saturday and he came swinging a GAP bag. I thought he'd been shopping, but no. 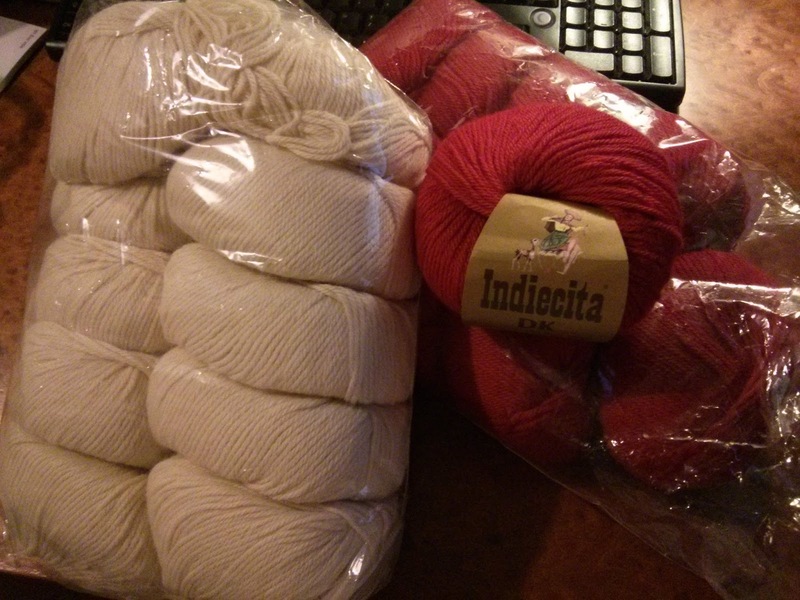 YARN!! What a great gift! And he got it so right, for a non-knitter. It's not some weird blend that feels like barbed wire. 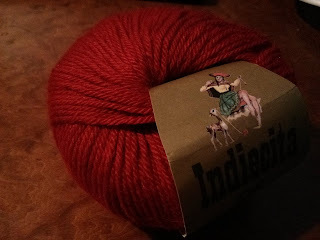 It's not some eyelash or novelty or squeaky acrylic that looked pretty in the shop but that I don't want to knit with. It's not one or two balls that I'll never find a use for. It is TWENTY balls (count 'em) of Peruvian baby alpaca DK. 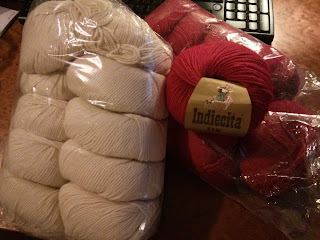 It's enough for two garments if I am frugal, or one really lush chunky stripey cardigan if I am not. It's beautifully soft, as you might expect. "It was quite expensive, by Peruvian standards," he mused. Yes, welcome to the world of the knitter, who understands that quality usually costs, no matter what you're buying. Time well spent? Or time, well, spent.